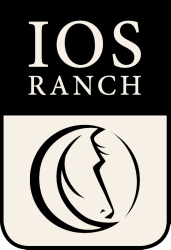 Using our state-of-the-art composter, Ios Ranch can convert raw manure into beautiful, useable topsoil in just under two weeks. Because of the intense heat process, the manure is effectively sterilized and thus free of seeds, bacteria or any intrusive plants. This composted top soil is available for purchase and delivery can often be arranged.